Spacious well maintained semi-detached house with 5 bedrooms and a large sunny garden with a garden house and a garage. 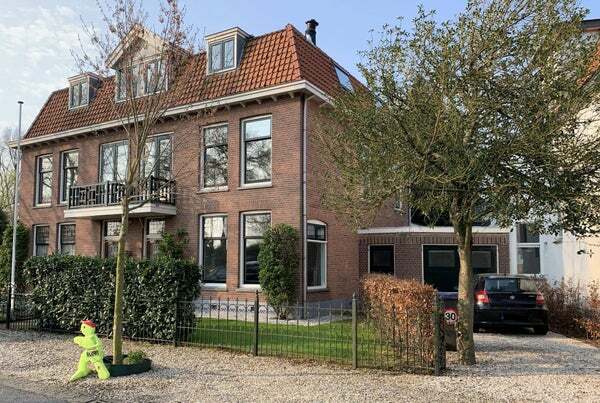 Conveniently located to the main roads, UMC and De Uithof, the cosy center of Utrecht (10 minutes by bike) and within walking distance of the center of De Bilt. Landing, two bedrooms with a walk-in closet in between. The bedroom at the front gives access to a balcony. Luxury bathroom with bath, walk-in shower and sink. There is a separate toilet. 3 bedrooms and a 2nd bathroom with shower, sink and toilet.